Who are the top bloggers in Nigeria? There is a great deal of justified frustration among disillusioned readers of blogs in Nigeria. Regardless, these dominant personalities have found a way to keep their readers happy and make a living off blogging. These are the ten most powerful bloggers in Nigeria. They are the top ten most successful and influential bloggers in Nigeria. Linda Ikeji is the face of blogging in Nigeria. When an average Nigerian hears “blogger” Linda Ikeji comes to mind. The entertainment blogger has built a blog so big that it has become number one online source for corporate advertisers in Nigeria. Her Countless number of exclusive stories has made the former model the most authoritative blogger in Nigeria. Linda Ikeji has grown from a blogger who covers celebrity stories to a celebrity blogger. Jide Ogunsanya is the brain behind ogbongeblog.com. The biologist turned blogger has created a very educational Nigerian tutorial site where you can find the most basic tutorials online. Jide Ogunsanya is well respected among his fellow bloggers in Nigeria, and this creates a lot of speaking gigs for the brilliant entrepreneur. Noble Igwe is the founder of 360nobs.com, entertainment, and lifestyle website. Noble Igwe once said; where others see “showbiz,” I see “showBIZ”. Uche Eze founded BellaNaija in July 2006. In Uche Eze’s words, what started as a way to kill boredom has now grown to become Nigeria’s number one lifestyle blog. Uche Eze has since featured on Oprah Winfrey show, CNN and other reputable platforms around the world. Every Top Blog in Nigeria seems to peak at some time but thanks to the brilliance of Uche Eze, Bella Naija always has the fresh car smell. The Notjustok.com music tag could be heard almost anywhere Nigerian music is played, even on radio stations “shame on you, Mr. DJ”. Ovie is Nigeria’s number one music blogger, thanks to his efforts Notjustok has become a brand name in Nigeria as almost ever Nigerian youth knows it. Japheth Joshua Omojuwa is a blogger, social media activist, and a political commentator. He started his blog back in 2009, and it has since become a home for valuable socio-economic and political expressions. Japheth Omojuwa’s opinions are highly respected across the world. Blogging, public speaking, social media consulting and to crown it all, Japheth Omojuwa is currently a lecturer at Berlin’s Free University (Africa: Democratic prospects and challenges). A lawyer by training, Chude Jideonwo co-founded y!Naija (a Nigerian youth culture platform) in August 2010. Chude Jideonwo is also the director and founder RedSTRAT which has three arms; RedSTRAT Original Content, RedSTRAT Communications and The Future Project (The organizers of the prestigious Future Awards). Loy Okieze is a very successful Nigerian Tech blogger. When many bloggers in Nigeria were carried away with the entertainment niche, Loy Okieze chose Tech and his blog Techloy.com has become the number one source of information on the happenings in the Nigerian IT world. Onibalusi Bamidele started his blog back in April 2010 (YoungPrePro.com). It was re-branded as WritersinCharge.com in March 2013. Bamidele Onibalusi has written for several top blogs in the world, and he is an inspiration to writers all over the country and beyond. His works are featured in Forbes, Digital Journal, Millionaire Magazine, amongst a few. In his words, Bamidele Onibalusi helps writers take charge, and he runs one of the top blogs in Nigeria. Makinde Azeez is the founder of Naijaloaded. Naijaloaded was once a forum, but a couple of bad experiences with hackers led to the decision to convert the forum which had amassed over one million users in such a short period into a blog. Naijaloaded launched in 2009, and it has grown to become one of the top websites in Nigeria. Makinde Azeez might not be as famous as some of his contemporaries but building a successful internet business is no mean feat. With over 500,000 users on Naijaloaded, Makinde Azeez is one of the top bloggers in Nigeria. This list of top bloggers in Nigeria is subject to change as circumstances change, if you think you or any other person deserve a mention on this list, drop a comment, and we would include such person on our watch-list. Seun Osewa runs Nairaland – Nigeria’s largest forum. Seun cannot be regarded as a blogger. true sir, nairaland is an awesome forum. Is Nairaland a blog or forum? This is a great list, but you forgot to add some top tech bloggers like Doncaprio.com, Oscarmini.com . I’ve been following those two, and must say, they are great bloggers also. though this is good. 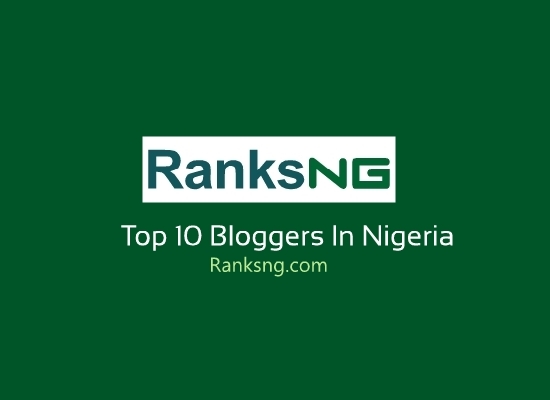 Kudos to the top 10 bloggers in Naija. Am proud of you all. Long live 9ja bloggers. Abi, congrats to all of them on list and I hope to get there soon. Hello, you really have a great list there, people like Jide,linda and others they really worth the mention.. Exactly bro. hope to be on the list soon. Congrats Linda Ikeji, Jide Ogunsanya, Noble Igwe, Uche Eze, Ovie, Japheth Omojuwa, Chude Jideonwo, Loy Okieze, Onibulasi Bamidele, Makinde Azeez … Keep it Up. I also Salute all the Bloggers in Nigeria. You all are doing a Good Job … Well Done. All these names are all worthy names.They have paid their dues in Nigeria’s blogoshpere. Consistency and focus is the watch word. Someday we too shall get up there and stay in the mix. Confam list.. hustle truly pays. http://www.tutorialslodge.com will be listed one day. Hmm, this is so motivating. I am coming right away. Yes! They truly deserve it. Am coming too. I love this list and I also like it when they put my mentor Linda at number one, my blog will be in list like this some day. I will make this list someday soon. Wow, this is a fantastic list and i pray in the near future my blog will join the list. kudos to my models! will be on the list soonest! Waoh, dats realy a gret list. Sure sure am jst an amature whu is jst recently acepted by adsense. Bur one day i wl join d list. I will keep pushing my blog because its just a matter of time. I will be mentioned everywhere. Awesome list here friend and I’m sure I will soon make the list too and its not long from now. Btw, I know most of this folks and yeah, they are doing so well! Those listed are awesome. Kudos to the observer. This is to tell you that hardwork pays. Blogging is an interesting thing if olly there is constant light and internet we will be competing with oyinbo. Kudos! The ten greats all deserve the mentions. I hope to be on the list one day. I am fine with them, thank God we have pace setters that can encourage young and new bloggers of Nigeria. REALMS OF POSSIBILITIES BLOG say KUDOS!! kudos to u all…… i will be listed one day..
Not late to start. Congratulations to the listed bloggers. I celebrate you. See you at the top. Nice list… Big shout out to Mankind and Jide, hope to join them soon. Kudos to you guys for making it to the top 10. am going to be there someday too! This is wonderful and i hope one day more good news will be heard. Thanks for compiling the list. Hope my blog will make the list next time. Nice one here. Great sites. great one guys. Its not easy blogging for years non-stop especially the news bloggers. OGBONGEBLOG’s author still remains my mentor. Jide Rocks! A fine list of bloggers indeed. Hope to one day be among such lists. This is really very great indeed. I am happy for them…. I love the list.. It seems to be free to manipulations.. Except that you cant place Jide before Uche Eze.. Remember Stay Healthy. Stay Wise. Hmmm more grace to the bloggers. Am sure one day, I will get there. Watch out for Mobad Entertainment. Nice write-up…LIB is the best in naija, no doubt about that, the ladyy is doing a wonderful job. True talk but every one deserves to hit the list, love your way of expression. I so much admire these bloggers. Love y’all! A decent look at top Nigerian bloggers. Good job!!! Very great list…we will surely make the list very soon! Nice one. I will get someday and is soon. YOU ARE REALLY DOING A GREAT JOB…VERY INFORMATIVE POST..I HAIL YOUR MASTERY HERE…I HAVE BEEN FOLLOWING YOUR BLOG FOR SOME TIME NOW AND I AM PROUD OF THE WORK DONE SO FAR…PLEASE KEEP IT UP..CHEERS! I pay homage to the top 10 bloggers in Nigeria. starting an online business is not an easy task. keep it up! am soon to make that list! by God’s grace. This is really good by his grace some day soon I will be among the recipients. I will be on a list like this someday. I cant but agree more and to congratulate this great bloggers. Its actually not easy to get dedicated users to a website. i wish them more strength as we all are looking up to be like them. Great ranking, congrats to the owners of the listed blogs, see you at the top! Nice one, I celebrate those at the top…..meet you there someday. Awesome list! Will be looking to seeing the list of top tech blogs in Nigeria by RanksNG. I wish you all success in your endeavors..I hope we all get there someday.meanwhile I strongly recommend that all upcoming bloggers should have a forum where they can interact and help each other to grow…wat do u tink guys? This awesome! Ideas is indeed capital… It’s all about having the passion and the will to start from scratch. Thank you for sharing this..
Nairaland is an awesome forum, but wish there were other Nigeria forum in its class. There’s something about monopoly that doesn’t allow for variety or consider the user experience. Competition brings out the best in any company. Great list! Its good to know that Nigerian bloggers are really killing it! Young and upcoming bloggers should be encouraged! Nice List and still relevant. Big ups to you guys. May God bless my hustle too. My health / recipe blog is growing and I hope to make it to this👆🏽 list someday. Jide ogusanya, i know you will be there. You inspired me. Its a shame Linda still has a basic amateuristic site design, she need to take her blog more serious. I was going to say that bro. Being the no. 1 blogger in Nigeria has to call for classic site design and layout and not just the name. Writerincharge by Bamidele is a blog I so much respect. I think most of his readers are sources from abroad. He is a good coach to many who want to learn freelancing. The list is ok. but I guess, we should have it reviewd by now to reflect the current change. Nice one..I know I will get there someday.. I Am Very Sure That By God Grace My Name Shall Be There. beautiful and impressive. keep it going. Kodus to all my bloggers,mined blog is still on the way the sky is not going to be my limit but my starting point……….. Kudos to all bloggers who made the list…….. You deserve to be there. I hope to be on that list soon by God’s grace. Hardwork Pays, Great List Here. Well Mentioned as Deserved! Thank you for your sharing! You’ve made a great list. Although there are several blogs I’m not familiar with, thank you for your work. Though theu deserve it, most especially my fellow tech bloggers. We do the job while others copy. Great writeup! Would so much love to know little tips about how all these blogs grow to be prominent. Thanks! An unbiased list and well deserved. May there be many more! The hand of God is upon them. I just pray the level of my little blog will get there soon. More grace my leaders. Great Names and well recognised. Good a thing we have these great bloggers who had hugely inspired us in different ways.. I call Rosalynda Igwe’s Blog, Linda Ikeji’s blog new baby blog. Cheers! Nice write up, nice blog. Keep it up. Hope to be the next top ten on your list. No. one indigenous (Yoruba)/online newspaper blog. won’t you rate it too??? Well, to some extent this list of bloggers mentioned as the top are correct. i suggest a new search should be made coming next year. The list is really inspiring. Wow, this is amazing… God bless our hustle. Good list you got here. I like this ranking, it is a very good one, I will always check this website for updates. The list is awesome, most them work for several hours per day to make sure they succeed in what they do. OK. Good list. Now as much as the list is awesome your comments are as well. I mean everyone is aspiring, this is great. I will get there too. It’s everyone’s wish to be in a list such like this and am no exemption. let us manage Makinde . I never knew Nigerians have become this blog-tech. Well I’m a christian teacher, radically, making all efforts to spread the gospel. And blogging is one of my choice medium. I’m working hard on righteousfaith.wordpress.com to take it top list soon. And i believe it will make to the top ten soon by God’s grace. Nice one, but some Good names were missed out. I hope to Join this list some day. Yeah Dhron! But I say to myself, so these are my competitors I will beat soon. Great Bloggers Indeed! I am not yet a successful blogger yet but I am convinced the key is to stick to your passion and blog because you love it and one day your blog will become big. This is nice, long live all their legacies as we hope for new faces in the industry…. Am looking up to these great bloggers and I hope that one day my blog (gistofthis.com) too gain rank like theirs.